Mansfield, MA (July 8, 2018) – The 4th of July week is ending with more fireworks-related injuries across our state. On Saturday, a 38 year old man from Blackstone, Massachusetts suffered a significant injury while trying to light a firework in a parking lot. The firework is described as “consumer-grade.” The man suffered a significant hand injury when the firework exploded as it was being lighted. A nearby off-duty police officer heard the explosion and ran to assist the injured man. The man was bleeding heavily from his hand and arm. A tourniquet was applied to slow the bleeding and the man was rushed to a nearby hospital. There is no additional word on his condition. Massachusetts State Police also responded to the scene and are currently looking into the explosion. The case remains under investigation at this time. The explosion in this case is yet another unfortunate reminder of the danger posed by fireworks. Each year, hundreds of people are killed or injured due to injuries suffered in fireworks accidents. Fireworks users are advised to follow all safety precautions listed on the package. Fireworks should never be used in any way to conflicts with the written directions and users should ensure their safety at all times. Failure to follow basic safety precautions in the use of fireworks greatly increases the likelihood of injury. In some cases, people are injured by fireworks and other products despite taking all possible safety precautions. 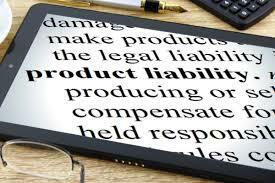 In these cases, the product user may have a claim against the manufacturer under a product liability theory. A product liability claim is based on the product being unreasonably dangerous or defective. Typically, if a person takes all safety measures and is still injured while using a product in its intended manner, the person has a product liability claim. Many product liability claims are filed all across Massachsuetts each year. In the most serious of cases, millions of dollars are at stake when catastrophic injuries or death are caused by defective products. At the Law Offices of Jeffrey S. Glassman, our team has achieved a high level of success in Massachusetts product liability cases. It is important to remember that we cannot guarantee a particular result in your case, however, we have the experience and knowledge that is necessary to handle these highly-complicated claims. If you or a loved one has been injured by a defective product, please call our Boston office at 617-367-2900 for your consultation.